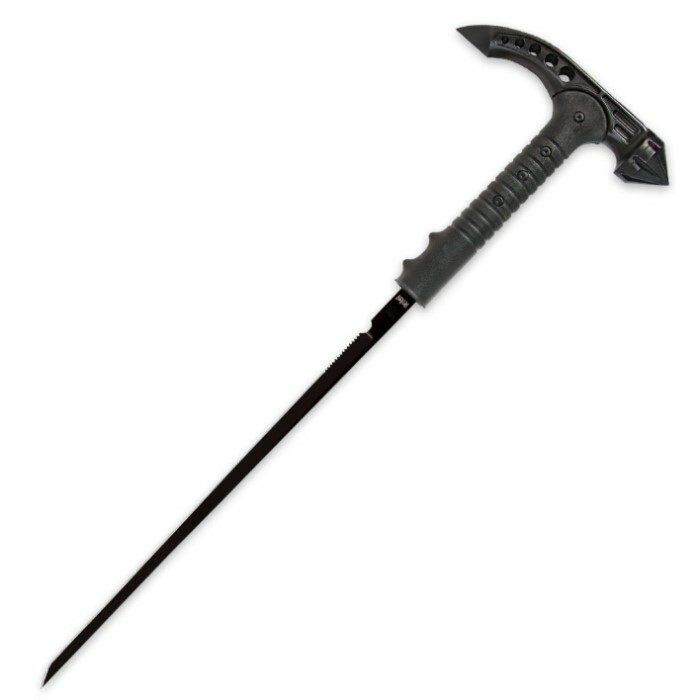 M48 Tactical Sword Cane | BUDK.com - Knives & Swords At The Lowest Prices! 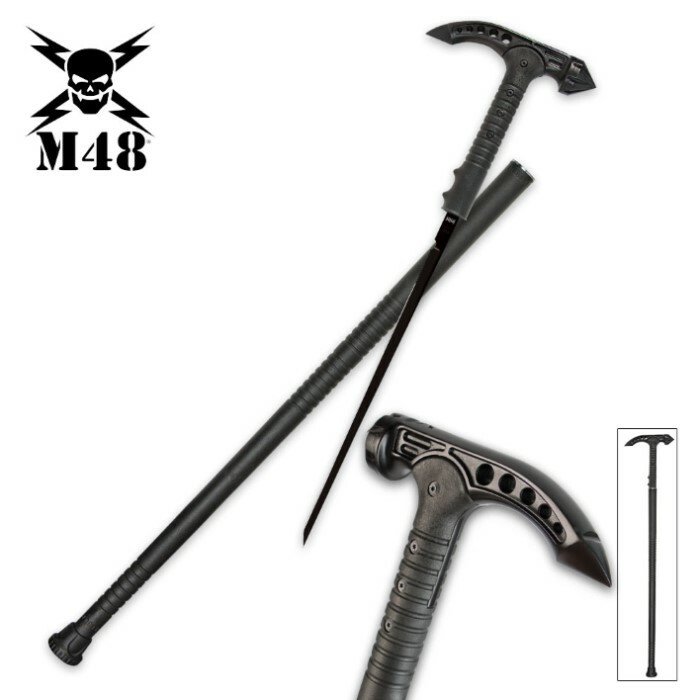 Powerful and capable, the new M48 Tactical Sword Cane is sheer, sleek perfection in a discreet self-defense weapon. 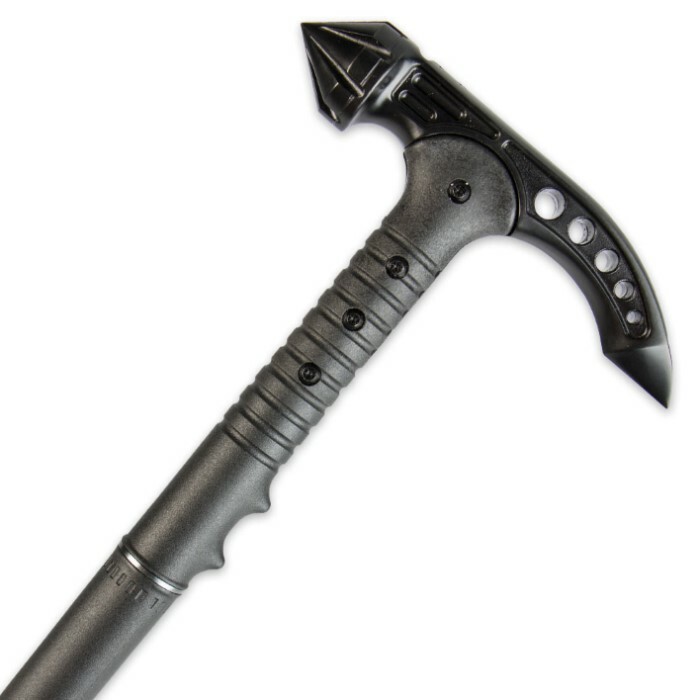 Starting at the top, you have a 2Cr13 cast stainless steel handle with a black oxide finish and a nylon fiber grip. Then, the shaft is of sturdy nylon fiber, too. Housed within the shaft as your second line of defense is a razor sharp 17" SK5 carbon steel black-coated blade. The cane also has a slip-free toe and is 37" in overall length.